The Emerald Cup takes place Dec. 9–10 at the Sonoma County Fairgrounds, 1350 Bennett Valley Road, Santa Rosa. $70–$130 and up. theemeraldcup.com. 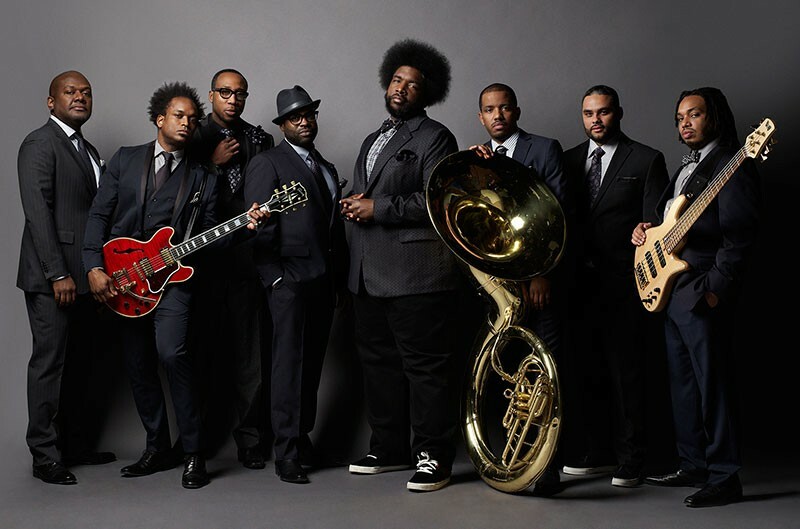 ROOTSY The Roots headline this year's Emerald Cup. While it's widely regarded as the preeminent cannabis growers' competition, the Emerald Cup, returning to Sonoma County on Dec. 9 and 10, has also earned the reputation as one of the industry's biggest blowouts of the year. "It was always a party," says Emerald Cup founder and producer Tim Blake. When the inaugural Emerald Cup took place in Mendocino County in 2003, it was an all-night affair that featured incredible music until dawn. "We had what we called a survivors breakfast for anybody who was still awake in the morning," Blake recalls. Over the years, the Cup has evolved to include informative speakers, eclectic cannabis vendors and stunning glass art exhibits to accompany its cannabis contest, but music has always been at the core of the event's success. "It's still a wonderful celebration of the fall harvest," says Blake. The Tonight Show, to headline on Saturday, Dec 9. Formed 30 years ago in Philadelphia, and anchored by lead MC Tariq "Black Thought" Trotter and drummer Ahmir "?uestlove" Thompson, the band has long been a guiding force in alternative hip-hop and won Grammys for collaborations with Erykah Badu in 2000 and John Legend in 2011. On Sunday, Dec. 10, the Emerald Cup closes the show with Portland, Ore., indie-rock outfit Portugal. The Man, who scored one of this year's biggest hits with the infectious single "Feel It Still," off the band's latest album, Woodstock. Other bands appearing over the weekend include indie-funk ensemble Pimps of Joytime, Bay Area hip-hop collective Hieroglyphics and rising electronica duo Bob Moses, as well as several DJs spinning throughout the event. With this year's event set to be the biggest yet, Blake plans on giving back in a big way. "We formed the Emerald Cup Charity Foundation about six months ago," says Blake. "When the fires came in, we really saw the need to step up." To that end, the Cup is matching funds from its sponsors, donating a portion of every contest entry fee and hosting an auction to support fire victims. "We're dedicated to the community," says Blake. "We're going to show how much we really stand together."